I have been tracking my expenses for years with excel files and PDF’s. The benefit of this is it gives me an ability to look back and see where I was able to save, and where I had large expenses. Both medical school and residency were filled with opportunity to spend large sums of money. In this post, I take a look back at some of the largest expenses during medical school and residency. Applying to medical school, residency, or fellowship is expensive. The cost of traveling to each facility for interview is much higher than the up front cost of the application. I only applied to medical schools in Texas, so my costs to interview was much lower than those in other states. I spent on average, $140 per school. Not too bad. For residency I decided I wanted to leave the state of Texas and applied broadly. I interviewed at 11 residencies for an average cost of $550 per interview. Total cost of my interview season during residency was about $10,000. This total includes airfare, food, new suit, hotels, beers after the interview, and cab rides. Interviewing for medical school and residency were some of my largest one time expenses during residency. Be sure to be prepared for these expenses in your final year, especially if fellowship is in the future. Regular meals were not included in my residency program other than sandwiches for grand rounds once a month and a $5.50 voucher when doing a 24 hour call. As much as I love to cook, there were many days when I was simply too tired and bought food from the cafeteria. Spending an average of $300 a month on food was a large expense that was mainly out of convenience. There was a time where I tried to eat a PB&J as often as I could, but trust me, this gets old very fast. Learning to meal prep intern year and second year saved me a lot of time and money. During my one day off per week, I would spend a few hours cooking for the week and taking my lunch and dinner to work every day. Learn to meal prep. It doesn’t have to be bad food. 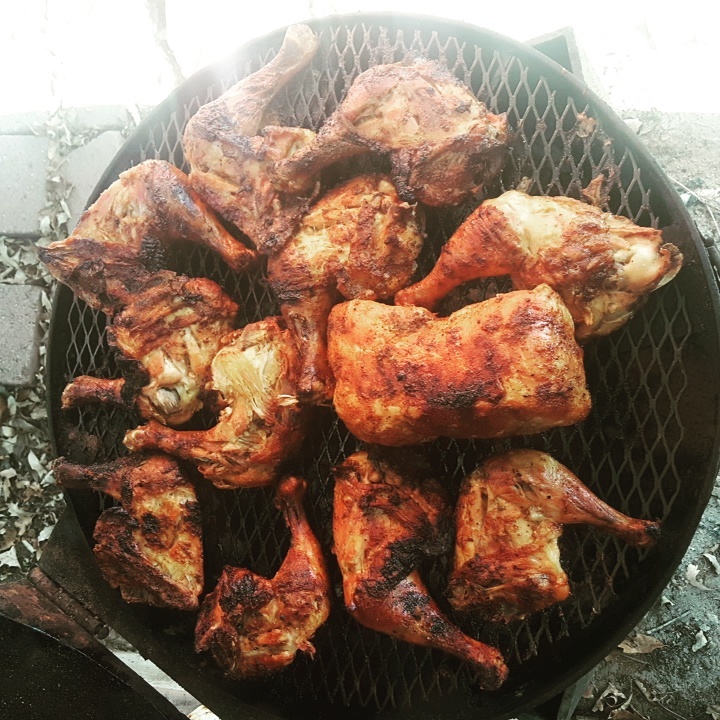 I would grill once a week and eat leftovers all week-long. Every medical student and resident wants to obtain the highest grade or score on a test possible. For step, most students buy a UWORLD subscription plus the First Aid study guides. Depending on your specialty there will be numerous books or study guides to buy to help digest the large amount of information before the test. There is no shortage of new companies willing to sell you additional ways to help you potentially earn a better grade. The most popular at the time of this posting seems to be Sketchy Medical. 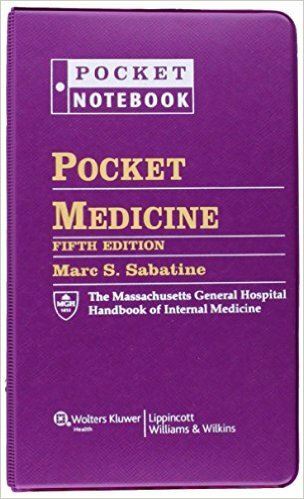 The color of pocket medicine book will be a tell-tale sign of what era someone trained. Possibly the most expensive vacation I will ever take. Fourth year of medical school is a period of relaxed schedules and increased flexibility. I had 4 months during my final year where classes could be taken online or I had no required class at all. At first glance it seems like a beautiful year filled with catching up with friends and relishing in stories about third year rotations. However, once it sinks in that you just paid potentially $20,000 in tuition to have drinks with your friends, the fun quickly ends. 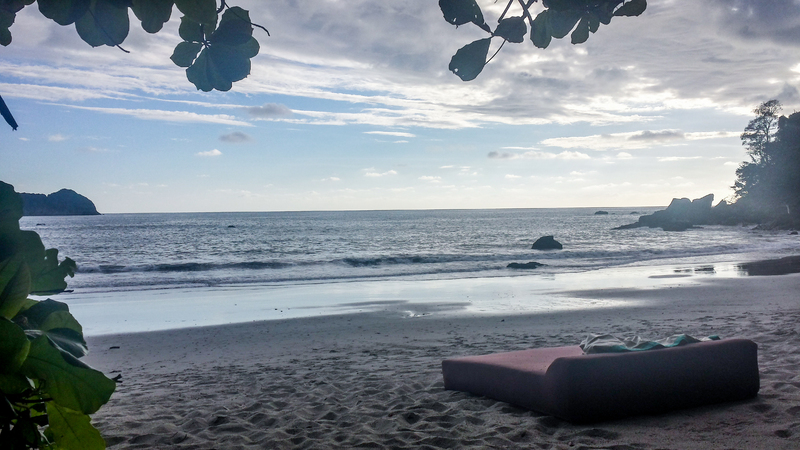 Enjoy the fourth year vacation for what it is, but know that is just may be the most expensive vacation you will ever take. If the average medical resident enters into a repayment plan for 10+ years, the cost of that vacation year will double with interest paid. Parking at my residency was not paid for and ended up costing $200 a month. During some months I spent more on parking than I spent on food. Not all programs make you pay for parking, but if they do costs can quickly add up. One of the more financially savvy residents in my program realized that a motorcycle permit was only $20 and bought a $1,000 scooter. The scooter paid for itself more than two times over by the end of residency. Factor in parking if this is not provided by your program since costs can add up. Costs vary by state, but here in Texas I paid over $2,500 to obtain my medical license. My colleagues warned me it was expensive, but I was not expecting to spend almost my entire net monthly pay on a medical license. If you plan on moonlighting as a fellow or resident, look into costs early. One physician whom I work with started the process of obtaining her medical license in Texas, only to not finish the application process after she learned of the high costs. She didn’t realize that once she started the process of obtaining her attending physician full license, that her resident/fellow permit was placed on hold for a period of time to allow her to obtain the full license. As a result of not completing her full licence in the allotted time, her training permit was voided. Since she did not have any active medical license, this meant that she was effectively practicing medicine without a license for a short period of time till her residency took her off the schedule. This is a huge deal. The program suspended her, and she had to go in front of the board to explain why things ended up the way they did. In the end, she told me that she had to repeat 6 months of fellowship with no other marks against her. Read all rules before applying. Life during residency may feel like its passing you by, but big life events still happen. Getting engaged, married, having a child, or even divorced are all events that could happen and have happened to either me or one of my close friends. Changing to the next chapter of your life is often an exciting time, but comes with increased financial costs. Plan accordingly. Most programs will have a budget for expenses they are willing to reimburse. All programs have an upper limit for how much they are willing to pay out over an academic year. During my medical school and residency I often went thousands of dollars above the limit the residency was willing to reimburse. The costs of posters, transportation, hotels, and rental cars added up to more than my program was willing to reimburse me for. Being published can help your career but will come at a cost. Everyone needs time off. After working 100 hour weeks, the drive to take an expensive vacation or go out for dinners or drinks with friends peaks. Create a budget and stick to it for fun activities. This will help avoiding overspending during those precious few moments of free time. I was guilty of it myself and splurged on a trip to Costa Rica my intern year. It may have kept me sane, but my wallet was a lot lighter after the experience. 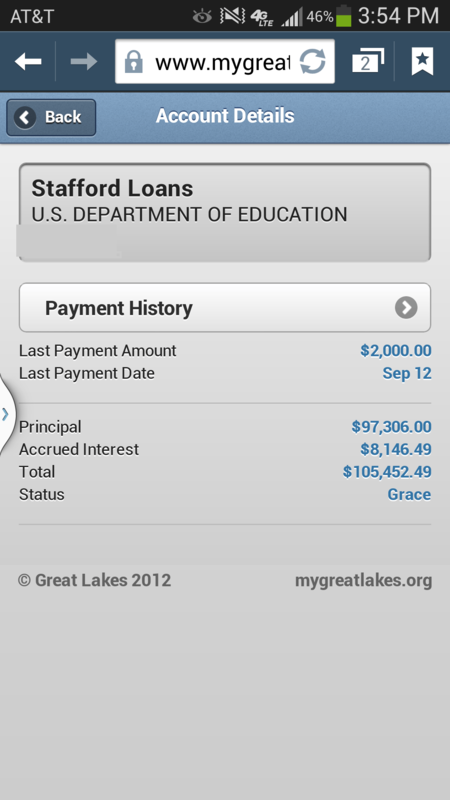 By the time a physician makes it to residency and fellowship the student loans start to come due. There are several programs to help make this affordable, but the debt is hard to escape. Here is a look at my budget during residency. I was paying almost the same in rent as I was in monthly debt repayment. Those 4 years of medical school can add up to a decade or more of debt repayment with high student loan burdens. What were you biggest costs in medical school, residency, or fellowship?